Arachnophobes beware - "spider season" is back. But why does the phenomenon occur and how can anyone who is afraid of creepy-crawlies tackle an arachnid accumulation? 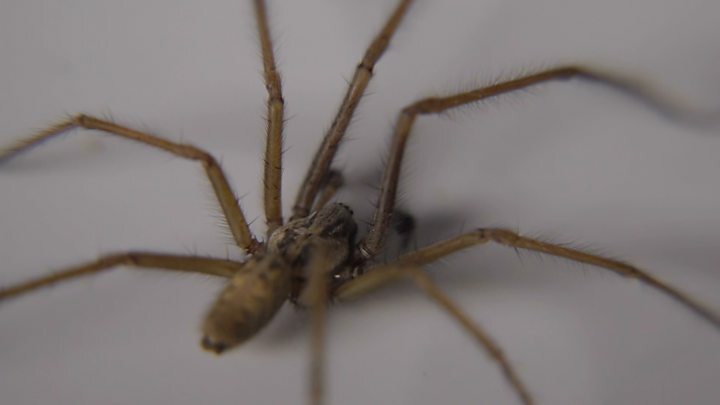 Prof Adam Hart, an entomologist at the University of Gloucestershire, has researched the seasonal spider cycle. He explains why people are seeing more of the eight-legged creatures, what we can do to tackle increased numbers and how long spider season will last. Quite simply, it is mating season, according to Prof Hart. At this time of year "about 80% of the spiders people see are males", he said. They are on the hunt for mates and females "stay put" indoors, so there is an inevitable influx of home-invading arachnids. "The females can be seen on webs in garages and windowsills, while the males wander around looking for chances to mate," Prof Hart added. Various remedies have been suggested, including putting conkers or ostrich eggs in the corners of rooms. Conkers supposedly contain a noxious chemical which deters spiders, but there has been no scientific proof. Some social media commenters have reported success with "peppermint oil in a spray bottle [used] everywhere around the house". Prof Hart has urged people to ignore "old wives' tales" and stick with a simpler regime - keeping homes clean and doors and windows closed. "If there are places that haven't been tidied or piles of clothes on the floor then they are great places for spiders to stay," he said. "Keeping homes clean and tidy will help. But you need to accept you can't totally spider-proof a house, as spiders will always find a way in." Clearly, for all those who are scared of spiders it is not the best time of year. However, the chances of being bitten by a spider are "infinitesimally small", according to Prof Hart. He added: "Worrying about that in this country is like worrying about ghosts. It's not going to happen." Dr Tim Cockerill from the University of South Wales concurs, saying all of the 650 species of spider in the UK "are only dangerous if you happen to be a fly or a small insect". Media captionWhat's the truth about spiders in our homes? Fortunately for arachnopobes, spider season is fairly short lived. It normally begins in the first or second week of September and ends by the first week of October. After that the number of spider sightings "drops off quite sharply", as the eight-legged critters "tend to bed down for winter," Prof Hart said. 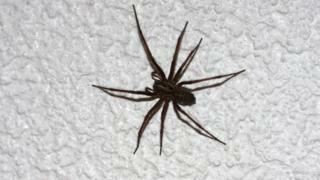 Video What's the truth about spiders in our homes?